GreenFeeder Automatic Injection System. 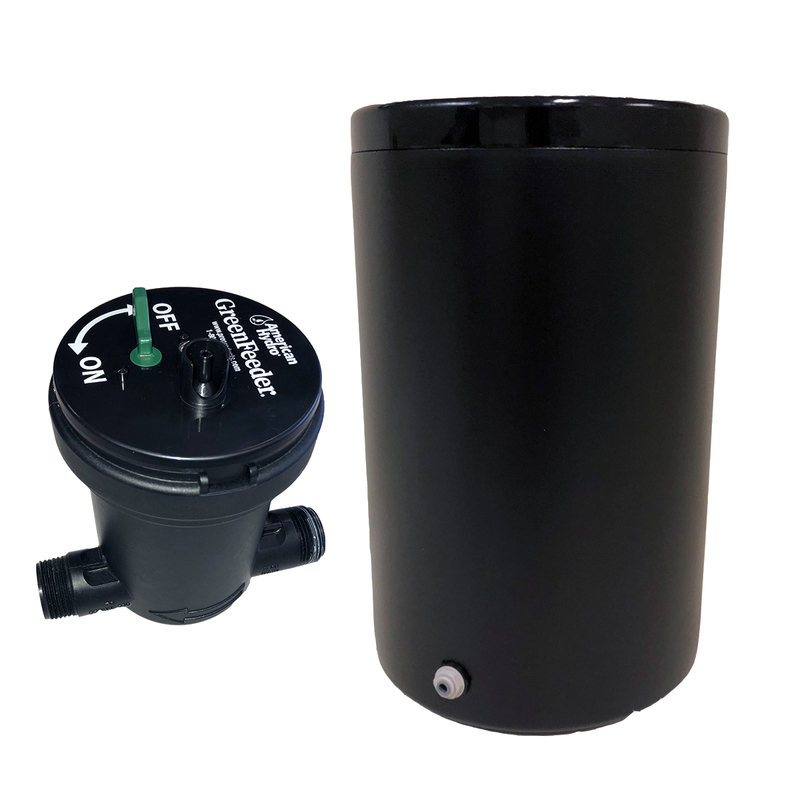 The GreenFeeder easily installs on any irrigation system and allows for automatic fertilization and/or pest control every time you water. The GreenFeeder adjusts the feed rate based on water flow, so users don’t have to worry about over- or under feeding. Simply connect a bottle of Grass So Green fertilizer or NatureShield pest repellant to the GreenFeeder and let the system go to work. 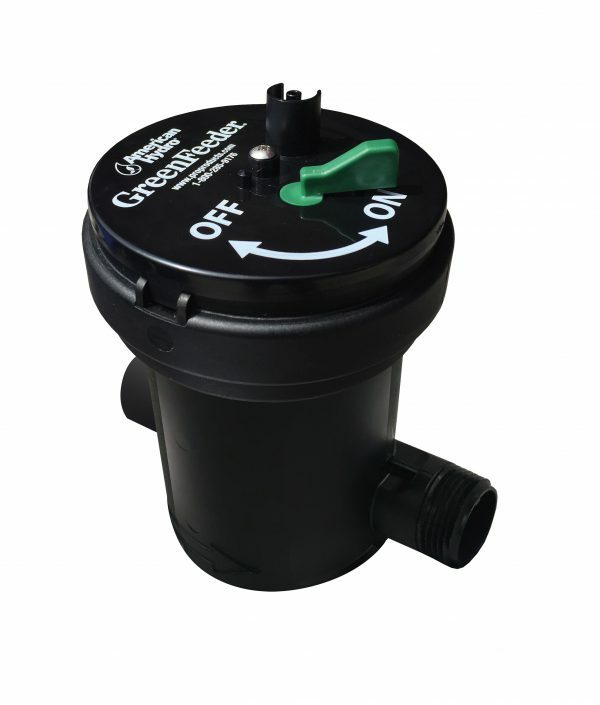 GreenFeeder can be installed underground or above ground after the backflow preventer. The GreenFeeder can also be installed vertically, horizontally, or on an angle. The GreenFeeder can also be used with Rid O’ Rust Preventer products if iron content is less than 2 ppm.